A new book made for Nasa called Archaeology, Anthropology and Interstellar Communication details the methods through which we might communicate with aliens. Although this artist’s illustration is a bit fanciful, the authors suggest that Earth may already have been visited. 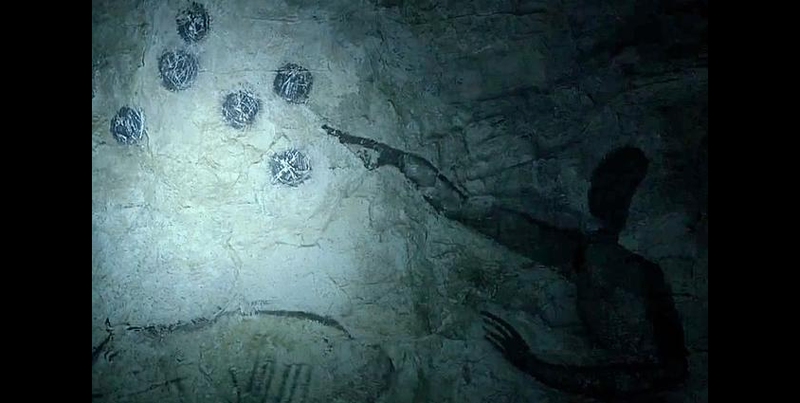 Are cave drawings evidence of alien contact? UFO aficionados are in a spin after NASA appeared to suggest ancient rock art may have been planted by aliens. It’s shadows of the Von Daniken era. The NASA e-book titled Archaeology, Anthroology, and Interstellar Communication, which was issued earlier this week, details efforts in the hunt for extraterrestrial life. It has since been taken down without explanation. But many insist it contained a real eye-opener. The 330 page book, edited by the director of Interstellar Message Composition at SETI (Search for Extraterrestrial Intelligence), Dr Douglas Vakoch, allegedly made the extraordinary suggestion that unusual ancient patterns gouged into rocks “might have been made by aliens”. But the storm of interest may be little more than the result of a typo or editing error. Or wishful thinking on the behalf of true believers. His organisation is tasked with researching ways that alien civilisations may “create messages that could be transmitted across interstellar space, allowing communication between humans and extraterrestrials even without face-to-face contact”. Dr Vakosh, in the book’s introduction, echoes this sentiment. He wrote scientists must try to “recognise manifestations of extraterrestrial intelligence, even when they resemble a naturally occurring phenomenon”. It’s a matter of mindset, he says. “Only when people took seriously the possibility that chipped rocks might be prehistoric tools were they predisposed to look for them,” Vakoch wrote. 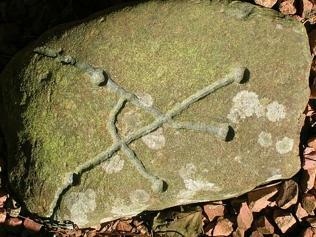 Contributors to the work suggest rock art instead be used as an analogy for understanding the challenge of communicating over vast distances of time and space. Dr Vakosh wrote. ‘To move beyond the mere detection of such intelligence, and to have any realistic chance of comprehending it, we can gain much from the lessons learned by researchers facing similar challenges on Earth,’ he continues.